Articles made from fine ceramics are recording a rise in production on a global scale. There are many reasons for this development: fewer trade barriers, higher living standards in threshold countries and projects such as the “Clean India” campaign. The initiative primarily focuses on the sanitary area and brings a great boom for the industry. 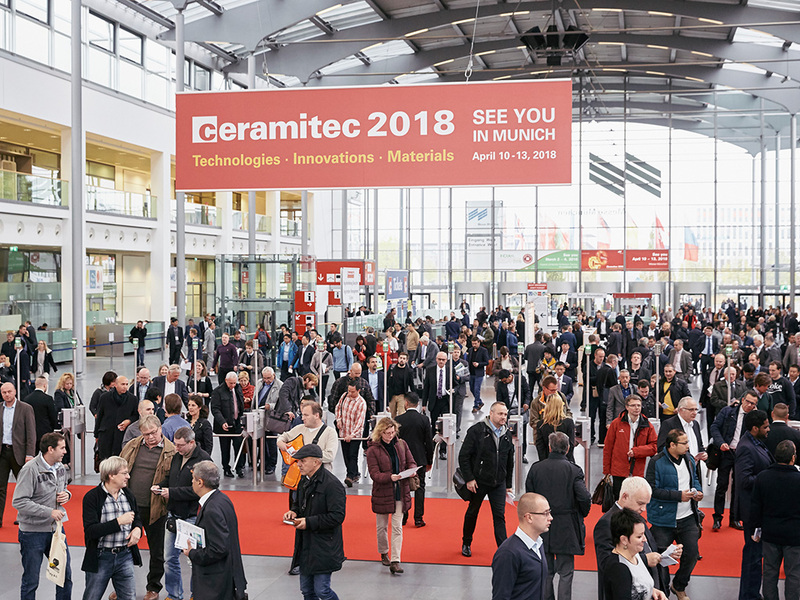 ceramitec 2018, the key trade show for the ceramics industry, will showcase these market developments: exhibitors will present the trends in fine ceramics on a worldwide scale, ranging from automation to digitalization in manufacturing and many more, at the Munich exhibition grounds from April 10 to 13, 2018. Fine Ceramics are one of the major exhibition segments of ceramitec: 17 percent of the booked space are especially dedicated to it—and the trend is rising. Industry giants, such as SACMI, Maschinenfabrik Gustav Eirich, Lippert GmbH, and participations through the Pôle Européen de la Céramique have already signed up. In addition, there will be a Hungarian joint pavilion in Hall B6 for the first time ever. The industry is currently experiencing a strong boost. At the same time, it has to face major challenges, such as more stringent environmental regulations or the requirement of greater flexibility in manufacturing. In addition, the fine ceramics segment needs solutions for the manufacturing and process chains in order to get fit for Industry 4.0. Actually, customer wishes such as ever more frequent mold changes make it increasingly difficult to shape the manufacturing process efficiently. Plant engineering responds to this with new developments, which will be presented at ceramitec 2018. The manufacturers of sanitary ceramics and tableware have already capitalized on Industry 4.0 in the field of automation: a new fully automated procedure for pressing cups with handles allows for a product change within a few minutes. In a traditional production procedure, a whole shift is often required to do so. As key trade show, ceramitec presents the complete bandwidth of new developments in the fine ceramics segment, including the innovations in automated manufacturing. Even with increasing automation, processes must remain easy to handle—the main key word here is digitalization: digital user interfaces help operate the plants, the process being supported by visual systems intended for maintenance purposes. The latter also enable remote diagnoses or remote maintenance through the plant supplier. With its panel discussion under the slogan “ceramitec goes digital”, ceramitec 2015 was already in touch with the latest trends of the industry. Just like the previous edition, ceramitec 2018 will give significant momentum to point the way to the future of processes and manufacturing in fine ceramics.